I was licenced in 1994 and obtained brokers credentials in 2005. I am a proud recipient of the Director's Platinum Award and the Award of Excellence, as well, I was the first Royal Lepage agent in Saskatchewan to achieve The Chairman's Club Award which is given to recognize the outstanding achievement of being in the top 1% of Royal Lepage sales representatives in Canada. I love working in the real estate industry. I like to get to know my clients and make it a enjoyable experience for everyone. Working in real estate for 20+ years it feels like a normal transition for my daughter, Melanie, to follow in my foot-steps. I was brought up to believe that I could set my mind to a goal and I would be able to achieve it. 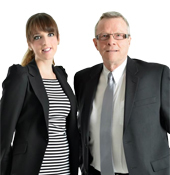 My dad is a real estate agent and so is my husband, together they have provided me with knowledge and guidance that has helped advance my level of expertise in this business. My motto is "I don't list it and leave it". I work hard for you, whether buying or selling. Before I entered real estate, I received my education degree and taught for 4 years with the Regina Public School Board. I find real estate to be an extremely wonderful and exciting career. My strong work ethic, focus and no-fail attitude helps me do the very best for my clients and puts a smile on their faces at the end of the process.